Warning: If you want to make sales and grow your business, you can’t ignore Web Video any longer. For some people, the mere mention of video makes them extremely nervous. Will they have to be in it? What do they need to actually make it. How will it get seen? And aren’t TV commercials expensive? 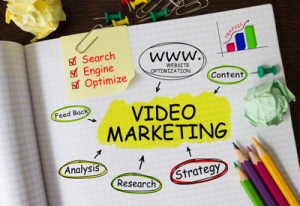 Thankfully, with web video marketing, there are many options, so rest easy as we take you through them. Firstly, you don’t necessarily need to appear in your video. There are other options including using a voice over or simply just music, while images and text tell the story. We work on getting your videos seen by setting up and optimising a youtube channel for your keywords as well as video pages on your website. And for cost, with videos able to be shot on smartphones and no ‘air time’ to buy, the costs to promote your business with video have dropped dramatically. Imagine drawing in hundreds of new potential customers in a matter of weeks. Well, with video marketing you don’t have to imagine. A massive 78% of consumers watch online videos each week. Statistics also show that if the word ëvideoí is included in an email subject line, it increases its opening rate by 19%, decreases unsubscribes by 26% and increases click-through rates by an impressive 69%. The point is, online videos sell. Consumers prefer to find out about a business and its services by viewing videos. So if you’re currently not making use of video marketing, you could be really missing out. However, it takes more than simply releasing a video on the web to get results. Your youtube channel needs to be setup and optimised correctly for your keywords. This is an extremely important aspect of getting your videos seen and ranked by Google. Perth Local Marketing strongly believes in the power of online video marketing. Not only that, but we know what it takes to create campaigns that successfully boost website traffic, sales, and revenue. With our strong background in broadcast video production, we are a unique company that provides quality production for various budgets and for different uses. We produce ‘feature’ videos for your business, as well as content videos for SEO and on-going marketing. We can handle the entire process from creating your videos, to publishing them, to driving traffic to them – leaving no stone unturned. Perth Local Marketing creates customised videos tailored to your business’s marketing and promotional needs. From script to final video upload, we create a digital marketing campaign which aims to promote those videos and your company to your target audience. We don’t just slap a ‘cartoon’ style video together and send you on your way! We write a script with you, then produce the video using best practice ( we have an extensive video production background… from working on ‘Playschool’ to ‘Kochie’s Business Builders’). We combine quality, affordable production with online marketing expertise. 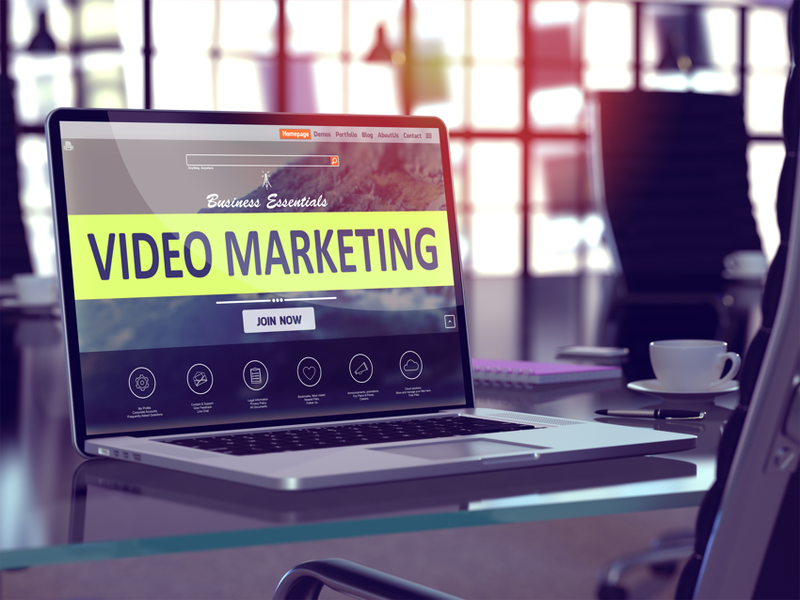 So, if you’re looking to draw in new website traffic, build brand awareness and boost your search engine rankings, video marketing is exactly what you need. With videos taking up a huge portion of consumer internet traffic, it highlights just how important this marketing method is for businesses today. However, with the massive number of videos being released online each day, it’s hard to get yours to stand out. With more than 35 years of experience, we offer a unique combination of high-definition videos, optimised video distribution, and targeted online video advertising to help your business get noticed online. Why should I use your company instead of marketing the video myself? While it is possible to market your own videos, it’s actually a very time consuming, difficult process. There are a lot of mistakes you could end up making which could actually waste your time and drain your budget while producing zero results. Perth Local Marketing has years of experience creating, optimising and distributing videos across multiple digital channels. We know what works and more importantly, what doesn’t work. By hiring our company, it frees up a lot of time for you to concentrate on running your business and also guarantees professional, effective results. Will my video be accessible to everyone? Yes. We can optimise your video for a wide range of media channels. This allows you to distribute your video to several target audiences. We’ll discuss your requirements and come up with a video marketing plan that best fits your companies needs. We also ensure all videos are accessible via desktop, mobile and tablet devices. So no matter how your target audience is choosing to get online, they’ll be able to see your video clearly, without any issues. How will I know if your video marketing service is working? As well as actually seeing more traffic being driven to your website, we provide monthly reports. These will not show you exactly who has viewed your videos, but it will show how many people have watched them and highlight where your videos are getting the most attention. At Perth Local Marketing we can handle every aspect of your web video marketing, from scripting to production and internet presence. Let’s discuss your business and your goals with you and create a tailored action-plan that will help you to promote your business effectively.